A)Watch the trailer clip and answer the questions. BILLY ELLIOT - International Trailer from PPC Film on Vimeo. 1.How different from other boys does Billy seems to be? 2.How does he seem to feel about boxing? 4.Why aren’t any other boys in the ballet class? 5.What is his family’s opinion about Billy taking ballet? 6.What´s the ballet teacher’s attitude? The film centers around the life of Billy, his love of ........................ and his hopes of becoming a professional ............................... Billy's father and brother Tony are miners. One day his father takes him to a ..............................., but Billy finds out that he doesn't really like the ......................... Part of the gym is used by a ............................... Billy is drawn by it and secretly starts taking ballet lessons. Billy's father finds out what he is doing and forbids him to dance, but Billy continues to do so secretly. Finally, once he has seen Billy dance, his father understands that ballet is Billy's ........................ and he takes him to an audition for the Royal Ballet. Billy is accepted by the Royal Ballet, and moves out to London at age 11 to attend the school. The Blind Side trailer from Cooke Pictures on Vimeo. What kind of family are “the Tuohys”? What are they like? How do they live? What is Big Mike’s situation and background? How do people see him? What does this family do for him? What does Mike get to do as a result of this family’s influence? How are both movies related? How are they different? 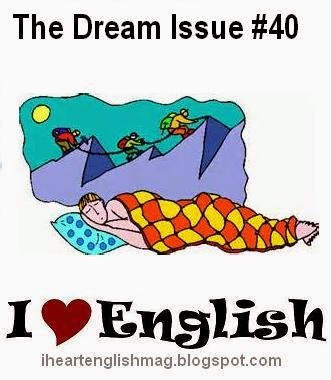 English has several idiomatic expressions related to dreams and dreaming. These are a few popular ones. A dream come true: a wish or hope that was realised. American dream: the idealistic notion that Americans are preoccupied with obtaining certain materialistic goals. Bad dream or nightmare: a terrible situation to go through. Broken dreams: wishes or desires that cannot be fulfilled. Chase a dream: to actively pursue something that you want to happen. Daydream: to have daytime fantasies about someone or something. Dream on! : something that you say to someone who has just told you about something they are hoping for, in order to show that you do not believe it will happen. In your dreams! : something that you say to someone who has just told you about something they are hoping for, in order to show that you do not believe it will happen. Live/be in a 'dream world': to constantly be thinking about what you would like to happen rather than what is happening. Pipe dream: a wish that is impossible or very unlikely to come true. Sweet dreams: an expression to say good night. Wouldn’t dream of doing: would not even consider doing something. 1.Her new job is........................................: the people are great, the work is interesting and the salary is amazing. A:Can I borrow some money to buy new clothes? 3.My ...................................... is to become a rock star. 7.I have to stop living .................................! If I want to graduate I’ll have to study harder. 8. I hope you ................................ of travelling without medical insurance, it’s too risky. 10.My favorite place to ................................. is during the bus ride to work. 11.It was a .................................... to finish the project on time. We ended up with a headache! 12.She’s .......................... big dreams but very determined and I have no doubt that she will succeed. · Do you know what a dream catcher is? · If not, what it could be used for? · Considering its name and shape how do you think it works? Complete the text about the legend of the dream catcher, with the ten words given. The Chippewa believe that night is full of both good and bad dreams. When a dream catcher is 1.........................above the place where you sleep it moves freely in the night air and catches the dreams as they drift by. The good dreams, knowing their way, 2.......................through the opening in the center of the webbing while the bad dreams, not knowing the way, are 3.........................in the webbing and 4.............................at the first light of the morning sun. There are many variants to the dream catcher legend, some which say both the good and bad dreams are 5........................ and some which say the good dreams 6.......................... down the feather to those sleeping below. Although the Ojibwa are 7............................... as the first people to use Dream Catchers many other Tribes and Native peoples have 8.................. Dream Catchers into their culture. Even though the designs and legends of Dream Catchers 9............................ slightly, the underlying meaning and symbolism is universal and is 10............................. across cultures and language barriers. · Were your predictions right? Is your daydreaming realistic or fantastic? When do you daydream most? If you had to chose an exotic destination to live for a couple of years, how would you make your decision? Compare the advantages and disadvantages of living in different countries. A) What do you understand by these terms? B) Rank them in order of importance. Before talking to the group you will have to make an individual decision. 1. Small debate : Debate the choice of country with a partner. Why have your classmates chosen that? Does it agree with your choice and your ranking? 2. Group discussion : Discuss the situation as a group. What is the best or most voted country to live in? Read the comment from the director and author, then watch the short and compare and contrast his ideas to yours when you were groping up. The film centers around the life of Billy, his love of dance and his hopes of becoming a professional ballet dancer. Billy's father and brother Tony are miners. One day his father takes him to a boxing gym, but Billy finds out that he doesn't really like the sport. Part of the boxing gym is used by a ballet class. Billy is drawn by it and secretly starts taking ballet lessons. Billy's father finds out he is taking ballet lessons and forbids him to dance, but Billy continues to do so secretly. Finally, once he has seen Billy dance, his father understands that ballet is Billy's passion and he takes him to an audition for the Royal Ballet. Billy is accepted by the Royal Ballet, and moves out to London at age 11 to attend the school. A well-to-do white family take in a homeless black teenager and help him realize his potential on and off the football field.